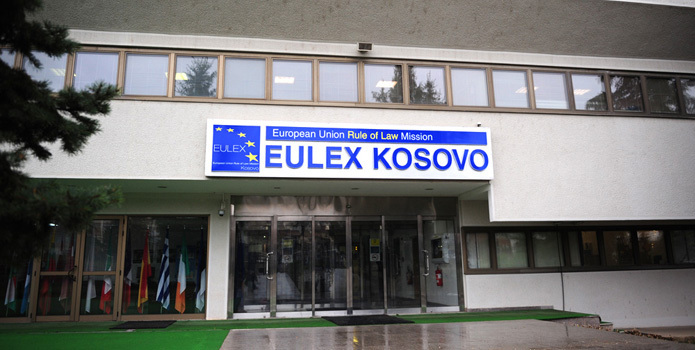 The Head of Rule of Law Mission in Kosovo (EULEX), Gabriele Meucci, held meetings today with the Minister of Justice, Hajredin Kuqi and the Minister of internal Affairs, Skender Hyseni. 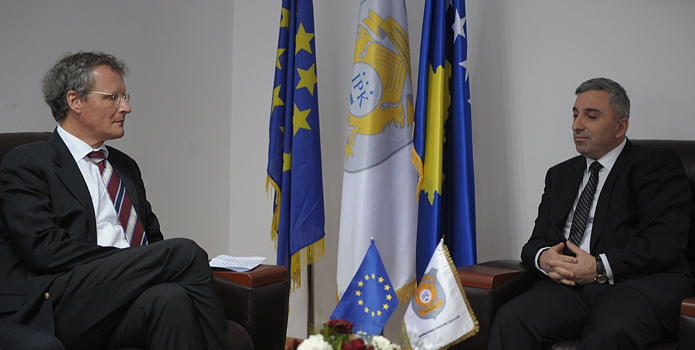 The Head of Rule of Law Mission in Kosovo (EULEX), Gabriele Meucci, met today with the new Prime Minister of Kosovo, Mr. Isa Mustafa. 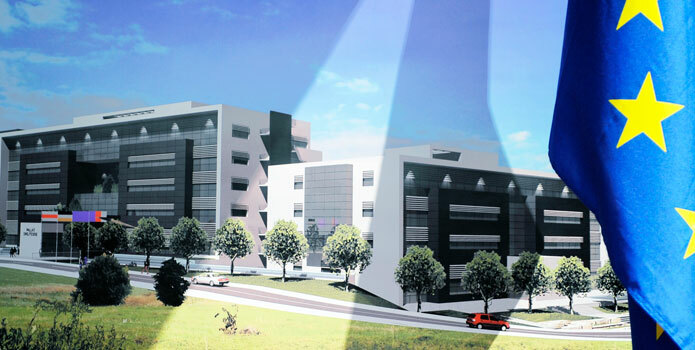 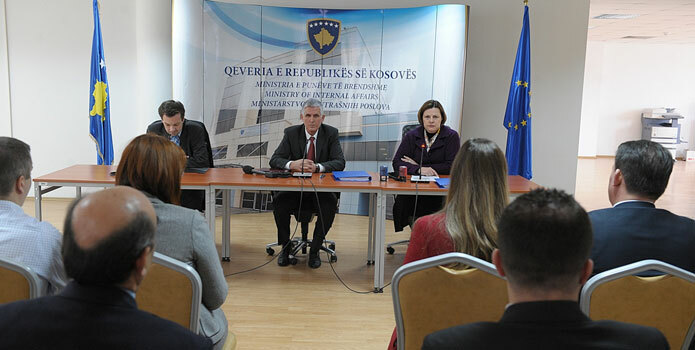 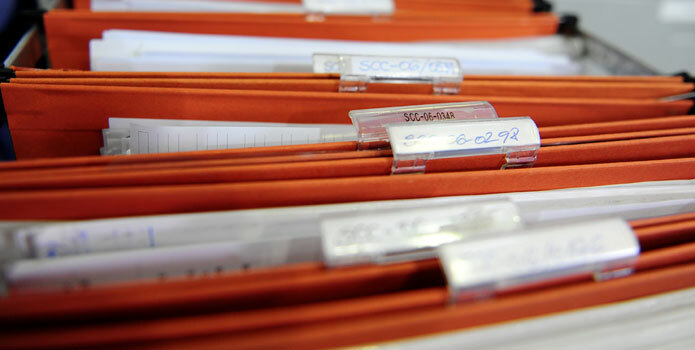 Final session of the Kosovo Property Claims Commission, KPCC, was held on 16 December in order to resolve the remaining registered property claims. 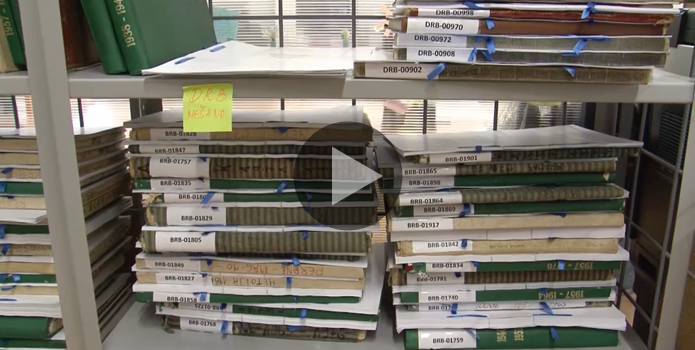 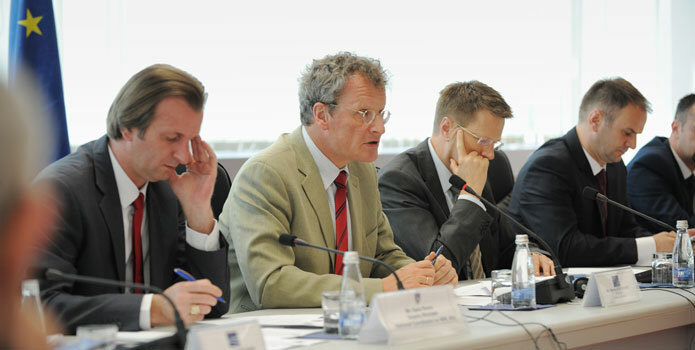 The two international and one local commissioner decided on the last remaining 178 cases. 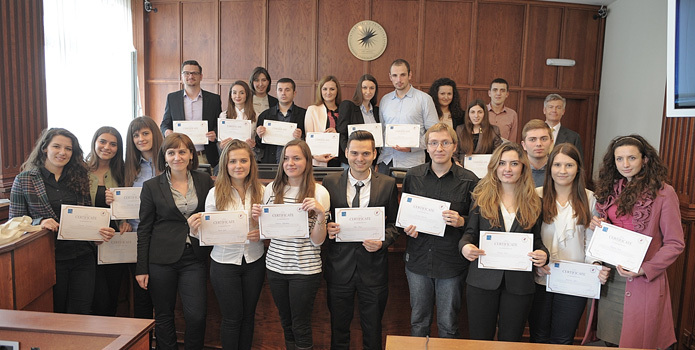 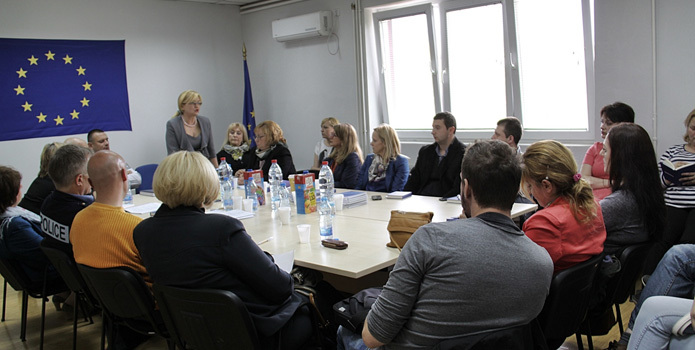 Last week, EULEX in partnership with the UK Police Crime Trainers from Humberside and South Yorkshire, delivered a four day training course for 16 KP officers and 6 Kosovo Prosecutors focused on new interviewing techniques for vulnerable victims. 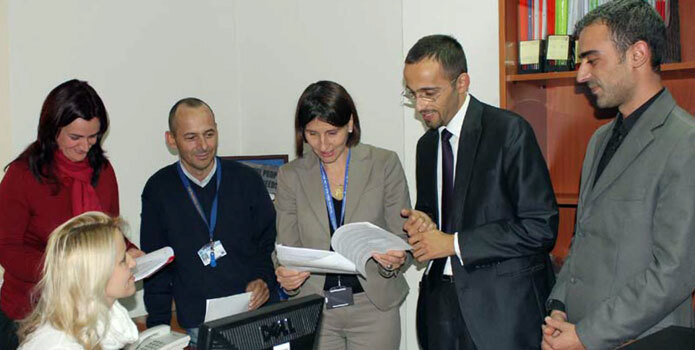 Searching for the missing – a decade after! 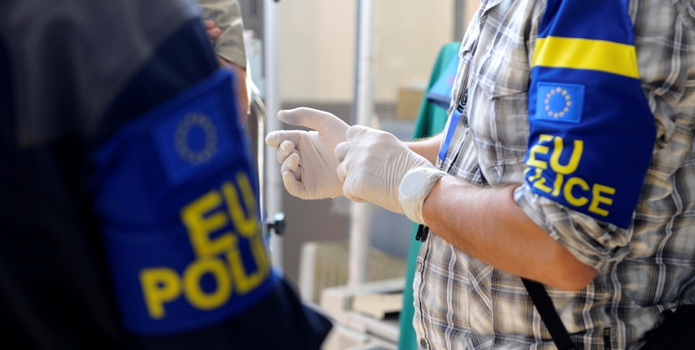 Searching for the missing after an armed conflict is often a painful, complicated and time-consuming process. 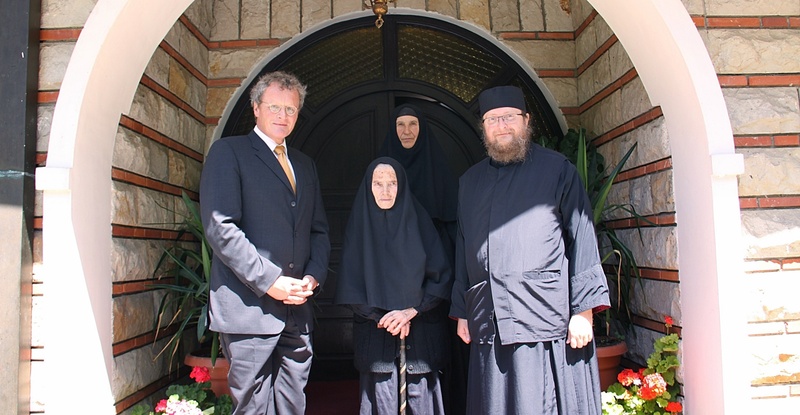 25 June 2014 | On 24 June 2014, the Head of EULEX Bernd Borchardt paid a short visit to the site of the first stage excavations at a mass grave at Rudnica, Raska. 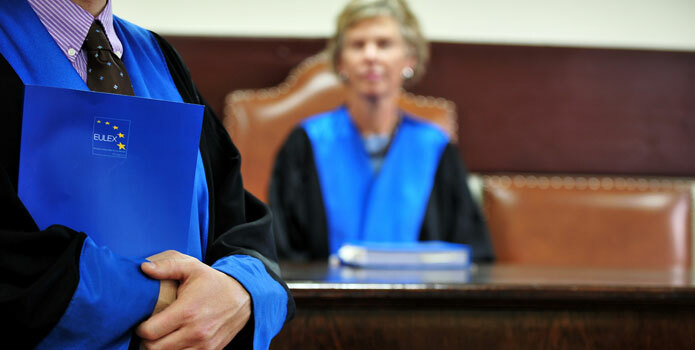 11 July 2014 | The Court of Appeals on 25 June 2014 issued the judgment in the case against N.M., R.Z., X.Z. 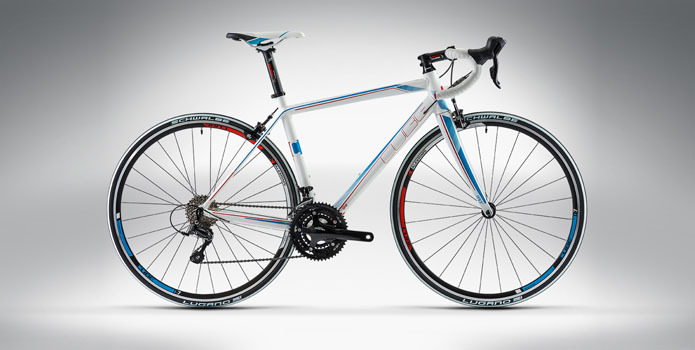 and M.N. 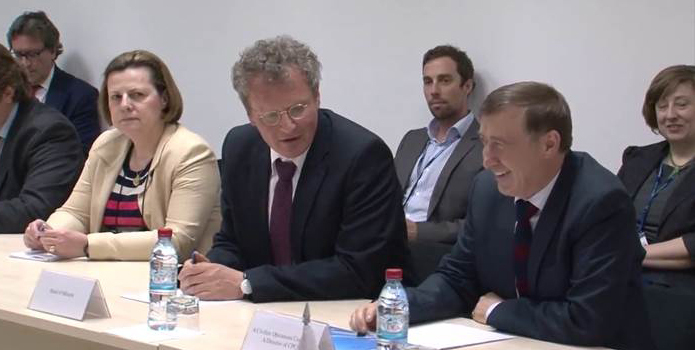 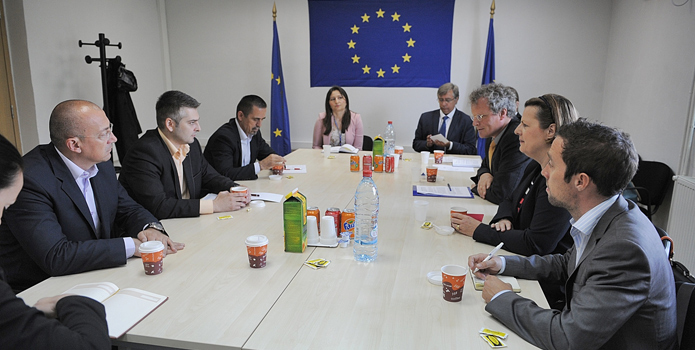 20 June 2014 | Today, the Head of the European Union Rule of Law Mission, Bernd Borchardt, met in Mitrovica north with the Mayors from Zubin Potok, Stevan Vulović, Zvečan/Zveçan, Vučina Janković, and Mitrovica/Mitrovicé north, Goran Rakić. 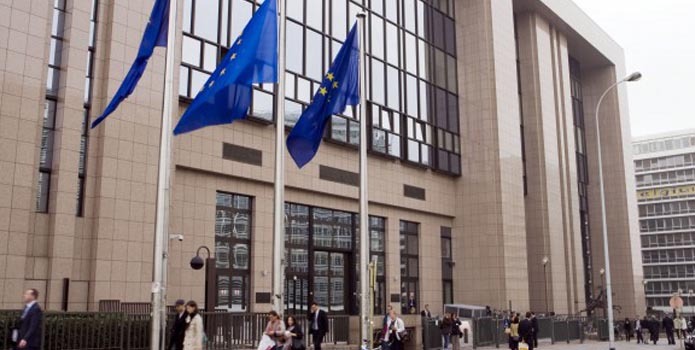 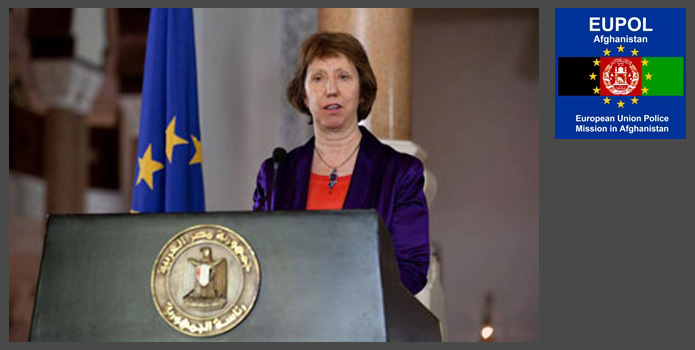 The Council has extended the EU's rule of law mission in Kosovo, EULEX Kosovo until 14 June 2016, following the exchange of letters between President Atifete Jahjaga and EU High Representative Catherine Ashton. 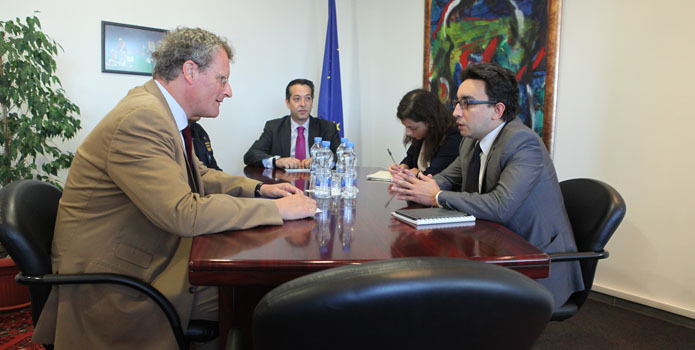 The Islamic Republic of Afghanistan Delegation with representative of EUPOL Mission Afghanistan delegation visited EULEX Headquarters on 25 June 2014. 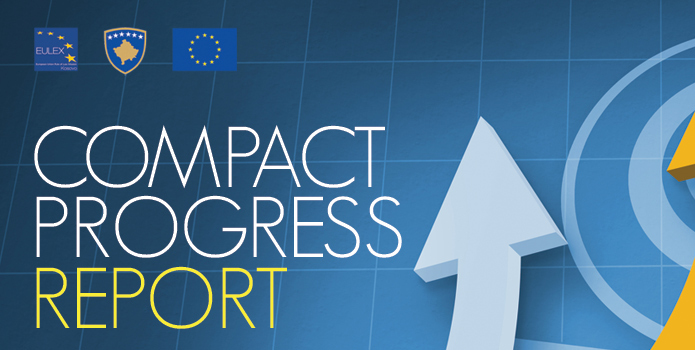 This Compact Progress Report (CPR) marks an important step in the development of the Kosovo's rule of law since the signing of the Joint Compact in November 2012. 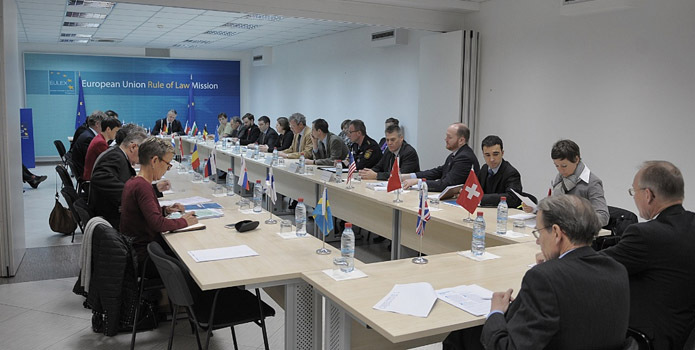 28 May 2014 | The Joint Rule of Law Coordination Board (JRCB) met today at the Main Government Building in Pristina. 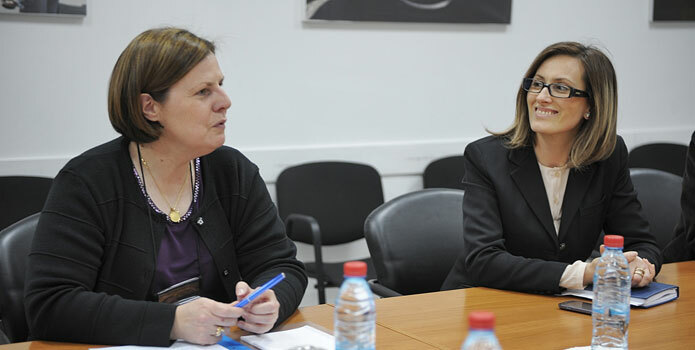 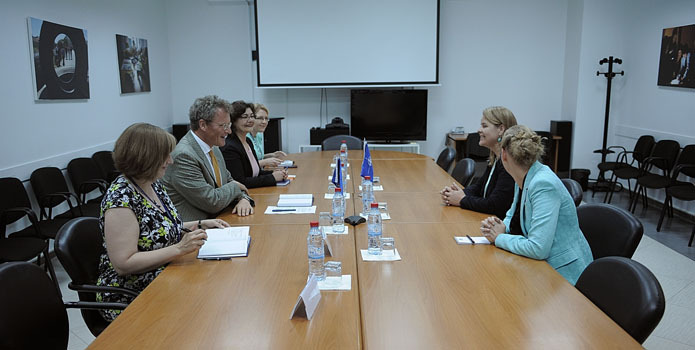 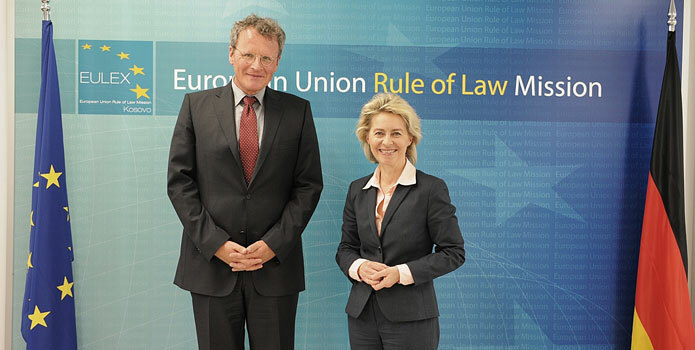 27 May 2014 | NATO Special Representative for Women, Peace and Security, Mari Skåre, and her delegation visited EULEX Headquarters on 27 May 2014. 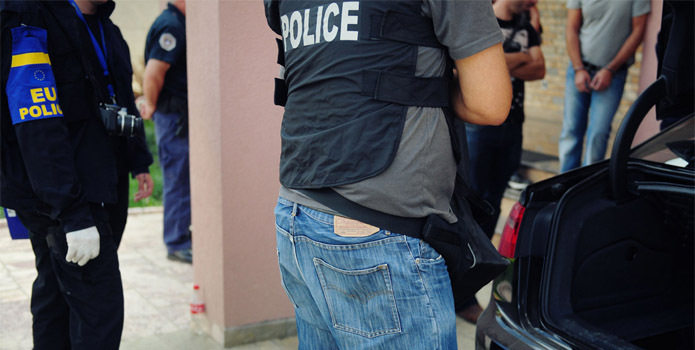 23 May 2014 | Yesterday, Kosovo Police and investigators from EULEX Organised Crime Investigation Unit conducted search and arrest operations in the region of Prishtinë/Priština and Podujevë/Podujevo. 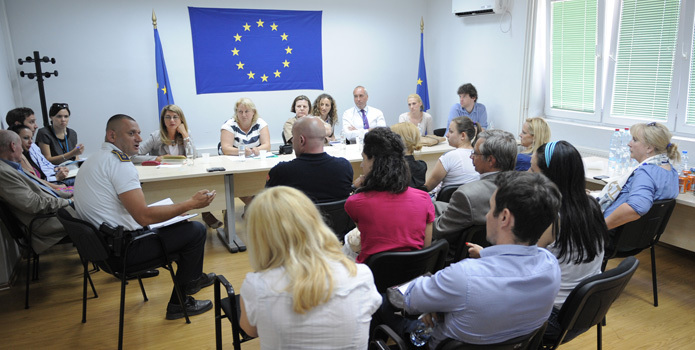 27 May 2014 | 'Over the weekend 23-25th May a group of EULEX and OSCE international staff members completed a 500 km ride around Kosovo for charity. 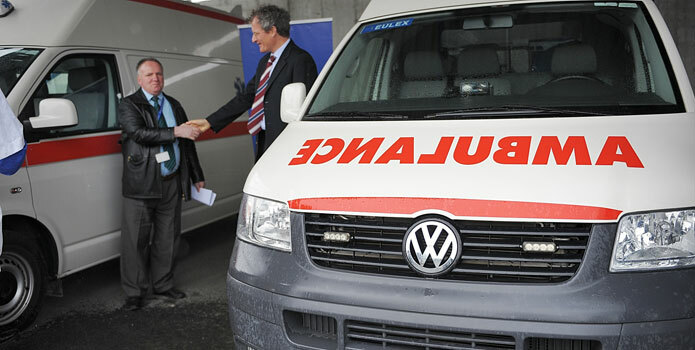 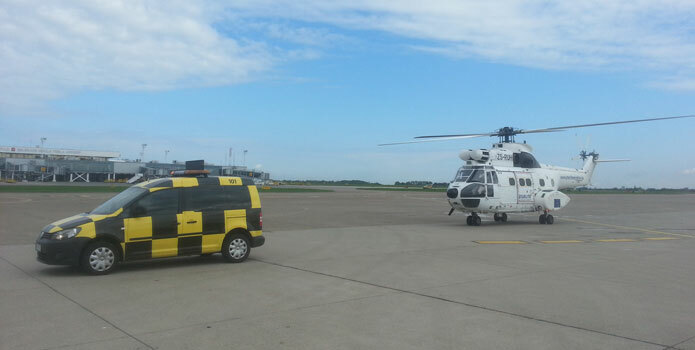 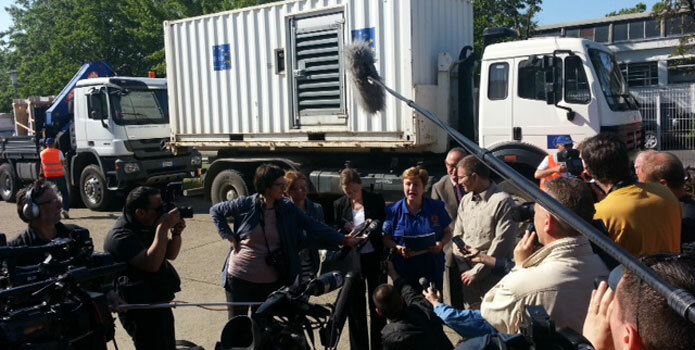 20 May 2014 | EULEX has delivered additional humanitarian aid to those affected by floods in Serbia. 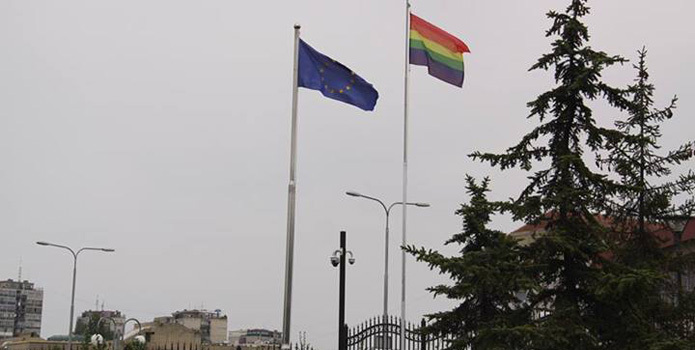 16 May 2014 | On May 17, EULEX Mission will fly the Rainbow flag at Farmed Building, commemorating the International Day Against Homophobia. 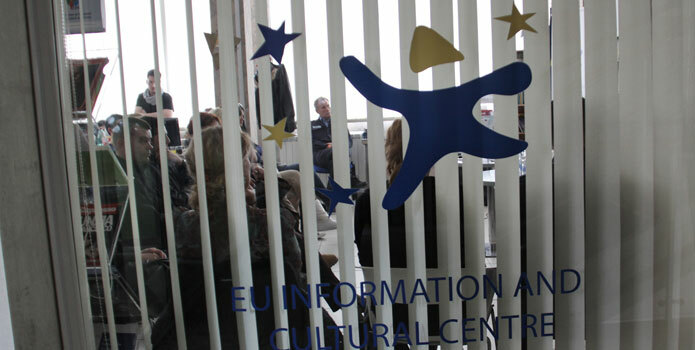 16 May 2014 | Produced by Blerta Zeqiri, funded by the European Office in Kosovo, this film explores the plight of LGBT community in Kosovo. 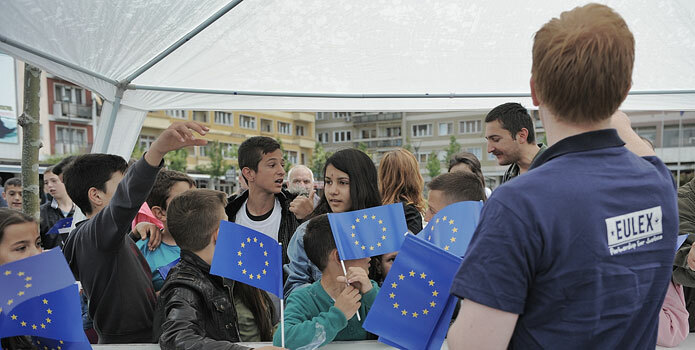 EULEX staff participated in various activities organised by the EU and Kosovo institutions in order to mark the Europe Day in Pristina. 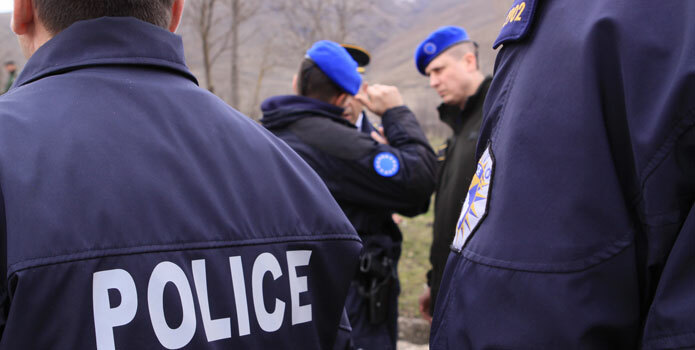 Today at around 20h00 two EULEX vehicles on their way to Brnjak/Bërnjak were attacked by gunfire resulting in material damage. 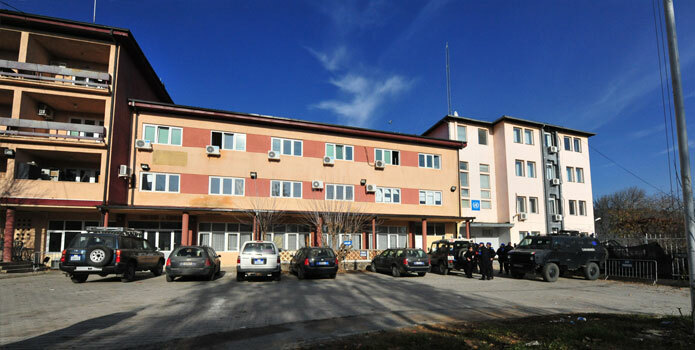 Today, an international prosecutor from the Kosovo Special Prosecution Office (SPRK) filed an indictment against one defendant at the Prizren Basic Court. 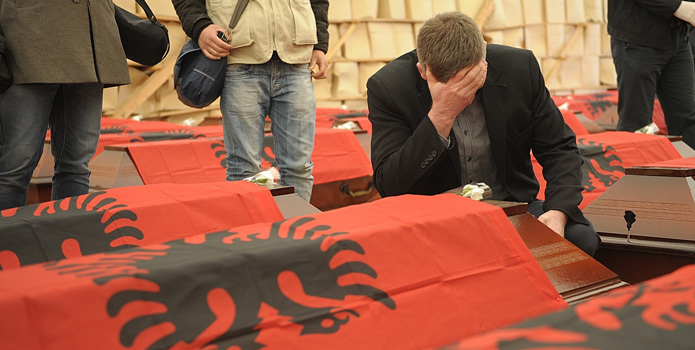 The remains of forty six (46) individuals, handed over this week to their families by the Department of Forensic Medicine (DFM), were buried today. 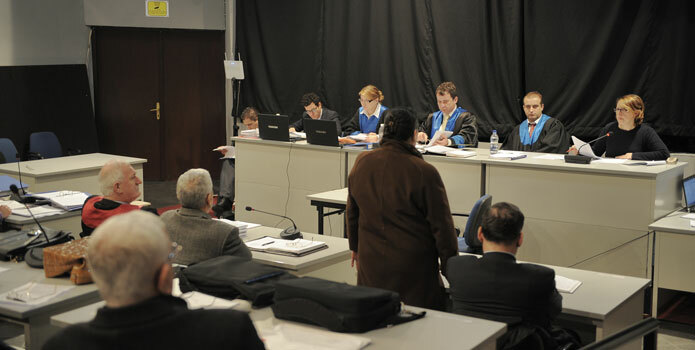 "First of all I would like to thank you for having been given the opportunity to give some explanations about what happened recently. 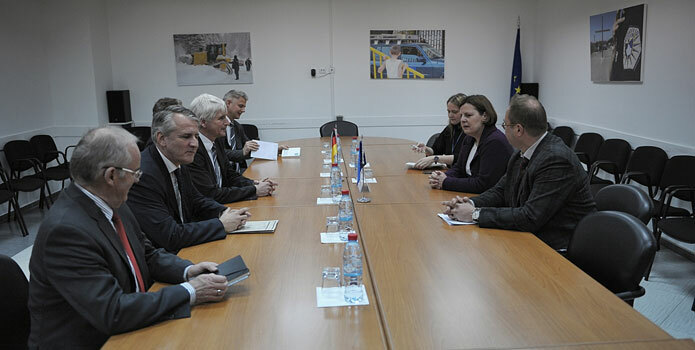 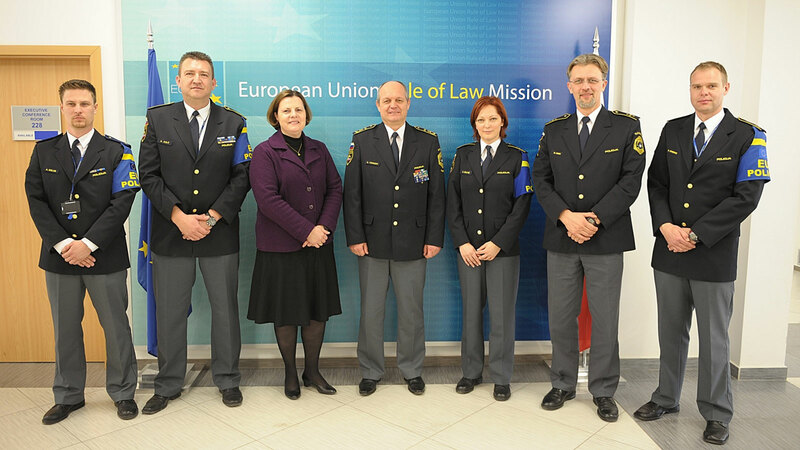 Bernd Borchardt, the Head of EULEX, visited the Police Inspectorate of Kosovo (PIK) where he was welcomed by the Chief Executive Fitim Shishani. 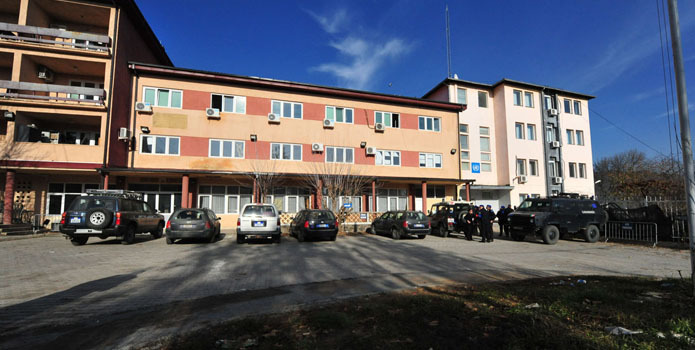 EULEX strongly condemns yesterday's violence associated with the raid on the police station in Zubin Potok by a local mob that resulted in the unlawful release of a detained suspect, Slobodan Sovrlic, wanted for serious criminal offences. 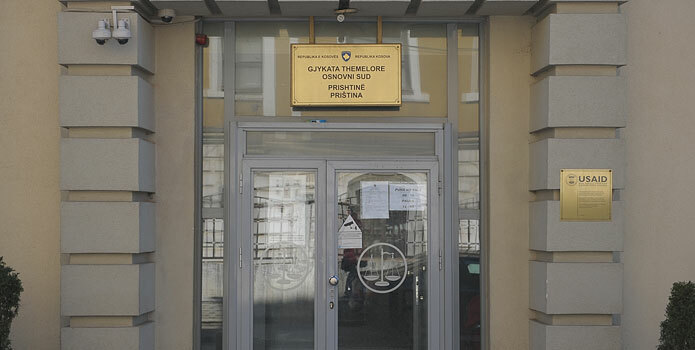 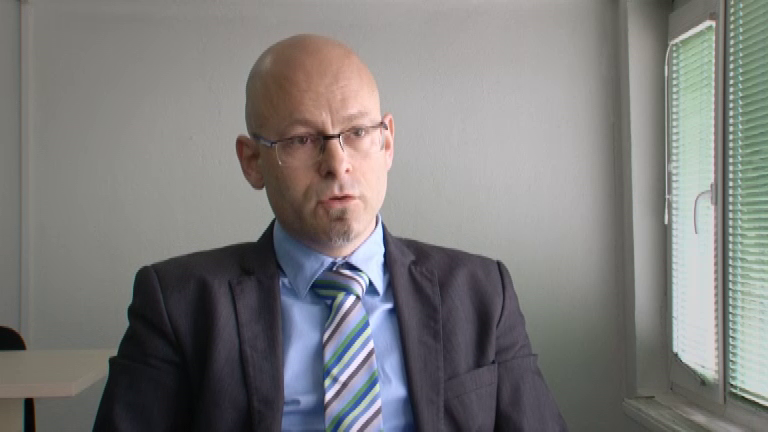 Today, an International Prosecutor and State Prosecutor from the Basic Prosecution Office in Pristina, received verdict in the "Kosovo 2.0" case. 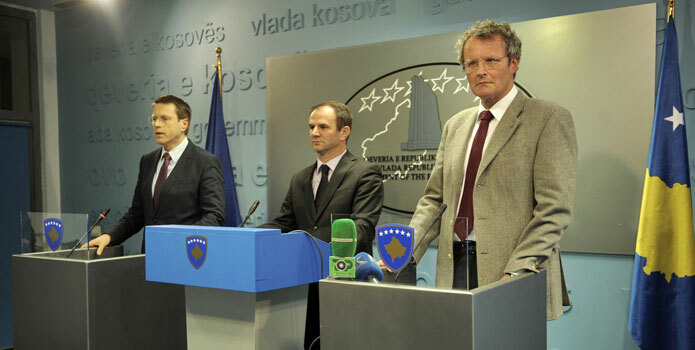 6 February 2014 | Protecting refugees who sought shelter in Kosovo from prosecution in their own countries represents the responsibility of the authorities dealing with asylum issues. 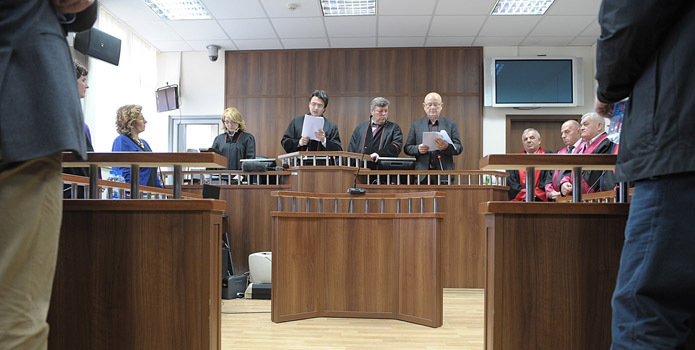 5 February 2014 | A panel of judges at the Court of Appeals in Pristina confirmed the decision of the Mitrovica Basic Court regarding the detention on remand for Oliver Ivanovic who is suspected of War Crimes and Aggravated murder. 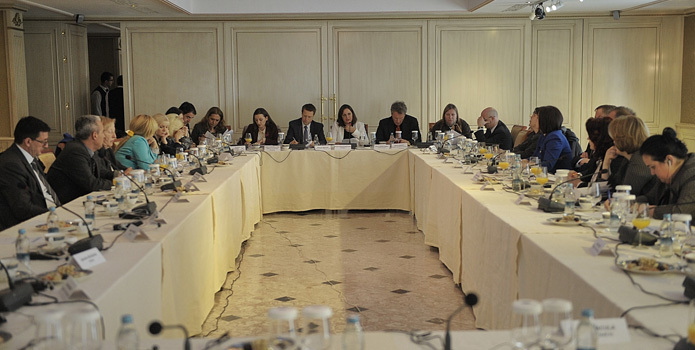 22 January 2014 | Joint Rule of Law Coordination Board held today its first meeting in this year. 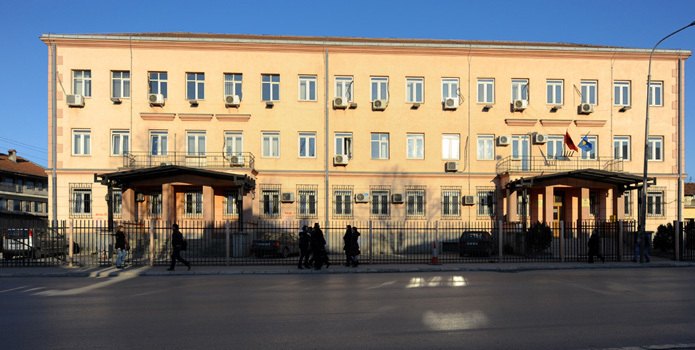 15 January 2014 | Today, an international prosecutor from the Basic Prosecution Office filed an indictment in the Basic Court in Prizren against nine defendants.